Mr. DeGiulio joined the firm in 1984 after obtaining his law degree and a master’s degree in business administration. After completing his undergraduate degree at the United States Merchant Marine Academy he obtained an unlimited tonnage Third Officer’s license and a First Class Pilot license for the Great Lakes and served on numerous merchant and naval vessels and holds a Coast Guard. Throughout his legal career Mr. DeGiulio has handled all types of maritime casualty and commercial disputes primarily on behalf of shipowners and their insurers. 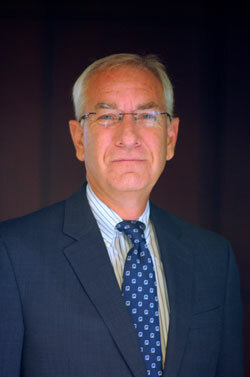 His litigation practice focuses primarily on collision, oil pollution liability, charter party and commercial disputes, cargo and property damage claims, recreational boating casualties, Coast Guard violations and proceedings, marine finance and foreclosure, maritime liens, vessel arrest and attachment, general average and salvage. On the transactional side he also has extensive experience in the drafting of customized charter parties, contracts of affreightment, commodity supply contracts and vessel construction contracts, and regularly represents lenders and vessel owners in marine financing transactions. He is a leading member of the firm’s oil pollution response team and has represented shipowners, charterers and terminal operators in administrative proceedings and litigation arising out of a number of major marine pollution incidents including the spills caused by the tankers GRAND EAGLE and ATHOS I . Mr. DeGiulio also has extensive experience in marine insurance coverage disputes and litigation and for seven years of his career represented insurers from around the world in connection with insurance disputes arising out of the EXXON VALDEZ oil spill. He has published articles on a variety of maritime law subjects including admiralty jurisdiction and shipowner’s limitation of liability. Mr. DeGiulio is a former member of the board of directors of the Maritime Law Association of the United States and is a former chairman of the Association’s Recreational Boating Committee. He also serves on the board of directors of the S.S. UNITED STATES Conservancy. He formerly served as an officer in the U.S. Naval Reserve, achieving the rank of Lt. Commander.